Till van Rahden is an expert in German-Jewish history. His most significant publication to date has been Jews and other Germans (2008), a work, which has been received as a major contribution to Modern Jewish history and Modern European history. The book is the first social and cultural history to probe the parameters of Jewish integration in the half century between the founding of the German Empire in 1871 and the early Weimar Republic. The study illuminates Breslau’s multicultural fabric and tells the story of this remarkable city as one of cultural and religious conflict and co-existence. Questioning received wisdom about German-Jewish assimilation and the pervasiveness of anti-Semitism in Imperial Germany, the book restores some of the complexity and openness of relations between Protestants, Catholics, and Jews before World War I. It was awarded the Fraenkel Prize in Contemporary History as well as the Kommunalwissenschaftliche Prämie (Stiftung der deutschen Städte, Gemeinden und Kreise) for the best study in Urban History. The book has received positive reviews in more than forty scholarly journals. According to “European History Quarterly” the book “will serve as a major point of reference not only for historians of Jewish life in Imperial Germany but also a wider range of scholars interested in how German—or, indeed, any—society dealt with the tension between modernity’s homogenizing impulse and recognition of difference.” Closely related is another book, La civilité et ses ambivalences: Les juifs dans la société civile en Europe centrale, 1800-1933, under contract with Les Presses de l’Université Laval. In this book, van Rahden explores languages of diversity in nineteenth-and early twentieth-century Germany and Austria. A study of key concepts of nineteenth-century politics – such as the nation, equality, humanity, virtue, and civility – allows an analysis of civil society’s fundamental duality: its simultaneous tolerance and intolerance; the elastic, always potentially inclusive aspects as well as its continually contested and renegotiated exclusions. 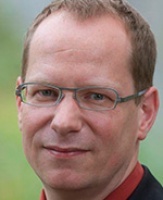 During his time at the Universität zu Köln’s Department of History between 2000 and 2006, van Rahden was actively involved in the graduate program and co-supervised over 50 graduate students. Since October 2006, he has been actively engaged in undergraduate, graduate and postdoctoral training at the Université de Montréal. In 2009/2010, he served as Director of Graduate Studies and reorganized and reformed the curriculum for an M.A. in German Studies. As research co-ordinator at the Centre canadien d’études allemandes et européennes, he has helped to attract and to supervise three postdoctoral researchers to the Université de Montréal. Till Van Rahden has recently held research fellowships at the Center for the History of Emotions, Max Planck Institute for Human Development in Berlin and at the Cluster of Excellence “Formations of Normative Orders”; at the Forschungskolleg Humanwissenschaften (Institute for Advanced Studies in the Humanities), Johann Wolfgang Goethe Universität Frankfurt/Main; and at the Freiburg Institute for Advanced Studies. He is also widely connected in the field of German-Jewish history, notably as a member of the Academic Board of the Leo Baeck Institute. His networks in the fields of moral history and Jewish history will provide invaluable contacts for students working on questions of civility within diverse societies as well as on relations among religious communities and minorities. Senior Research Fellow, Institut für die Wissenschaften vom Menschen. Vienna, Austria. Principal Investigator. Senior Research Fellow, Cluster of Excellence "The Emergence of Normative Orders" and the "Forschungskolleg Humanwissenschaften" (Institute for Advanced Studies en sciences humaines) Goethe-University Frankfurt, Germany. Principle Investigator. Senior Research Fellow in the School of History, Freiburg Institute for Advanced Studies, Albert-Ludwigs Universität Freiburg i. Br. Conference Grant, Internationales Kolleg Morphomata, University of Cologne, for the Workshop "Forms, Style and Manners: Democracy as a Way of Life"
(co-edited with Anthony Steinhoff, Richard Wetzell): Special Issue: “Diversity of German History,” Bulletin of the German Historical Institute, Washington61. “Eine Welt ohne Familie: Über Kinderläden und andere demokratische Heilsversprechen,” WestEnd - Neue Zeitschrift für Sozialforschung14:2, 3-26. (co-authored with Anthony Steinhoff, Richard Wetzell): "Navigating Diversity: Introduction", Bulletin of the German Historical Institute 61, 25-30. "Sanfte Vaterschaft und Demokratie in der frühen Bundesrepublik", in: Bernhard Gotto/Elke Seefried (eds. ), Männer mit ‚Makel’: Männlichkeiten und gesellschaftlicher Wandel in der Bundesrepublik Deutschland(München: de Gruyter), 142-156. (co-edited with Oliver Kohns and Martin Roussel) Autorität: Krise, Konstruktion und Konjunktur (Paderborn: Wilhelm Fink). “Clumsy Democrats: Moral Passions in the Federal Republic”, German History 29:3, 485-504. (co-edited with Daniel Fulda, Stefan-Ludwig Hoffmann and Dagmar Herzog) Demokratie im Schatten der Gewalt: Geschichten des Privaten im deutschen Nachkrieg (Göttingen: Wallstein). Jews and other Germans: Civil Society, Religious Diversity, and Urban Politics in Breslau, 1860 to 1925 (Madison, WI: The University of Wisconsin Press). Verrat, Schicksal oder Chance: Lesarten des Assimilationsbegriffs in der Historiographie zur Geschichte der deutschen Juden, in: Historische Anthropologie. Kultur – Gesellschaft – Alltag 13 (2005), 245-264. “Jews and the Ambivalences of Civil Society in Germany, 1800 to 1933: Assessment and Reassessment”, The Journal of Modern History 77:4, 1024-1047. (co-edited with Andreas Gotzmann and Rainer Liedtke) Juden, Bürger, Deutsche: Zur Geschichte von Vielfalt und Differenz 1800–1933 (Tübingen: J.C.B. Mohr). “Unbeholfene Demokraten: Moralische Leidenschaften in der Bundesrepublik”, in: Wolfram Pyta/Carsten Kretschmann (eds. ), Bürgerlichkeit: Spurensuche in Vergangenheit und Gegenwart (Stuttgart: Steiner), 151-177. “History in the House of the Hangman: How Postwar Germany Became a Key Site for the Study of Jewish History”, in: Steven E. Aschheim/Vivian Liska (eds. ), The German-Jewish Experience: Contested Interpretations and Conflicting Perceptions (Berlin: de Gruyter), 171–192. "Juden und die Ambivalenzen der bürgerlichen Gesellschaft in Deutschland von 1800 bis 1933", in: Werner Meiners/Herbert Obenaus (eds. ), Juden in Niedersachsen auf dem Weg in die bürgerliche Gesellschaft (Göttingen: Wallstein), 231-258. "Families Beyond Patriarchy: Visions of Gender Equality and Child Rearing among German Catholics in an Age of Revolution", in: Nancy Christie et al. (eds. ), The Sixties and Beyond: Dechristianization as History in North America and Western Europe (Toronto: The University of Toronto Press), 270-293. “Situational Ethnicity versus Milieu Identity: Jews and Catholics in Imperial Germany”, in: Nils Roemer (ed. ), German Jewry: Between Hope and Despair, 1871-1933 (Brighton: Academic Studies Press), 45-74. "Fatherhood, Rechristianization, and the Quest for Democracy in Postwar West Germany", in: Dirk Schumann (ed. ), Raising Citizens in the “Century of the Child:” Child-Rearing in the United States and German Central Europe in the Twentieth Century (New York: Berghahn Books), 141-164. “‘Germans of the Jewish Stamm’: Visions of Community between Nationalism and Particularism, 1850 to 1933”, in: Mark Roseman et al. (eds. ), German History from the Margins (Bloomington, IN: Indiana University Press), 27-48.